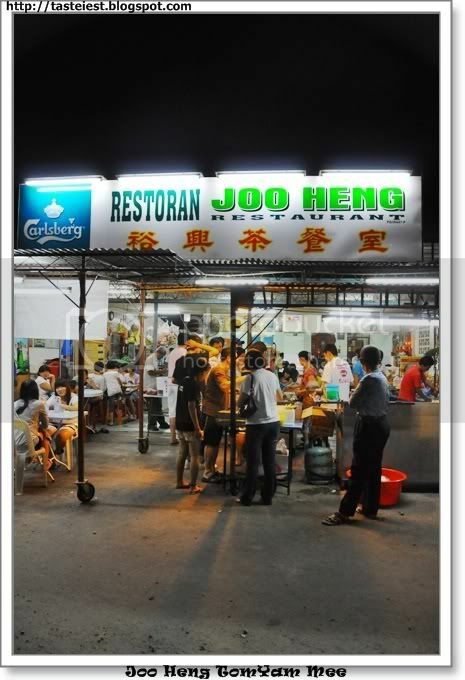 Joo Heng located just beside Raja Uda main road, famous for Self Selection Tom Yam Mee. 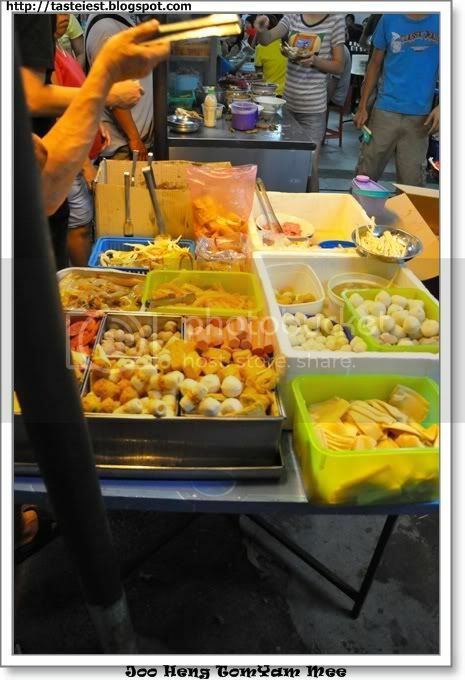 A lot variety to be add on, various type of fish ball, mushroom, fresh prawn, minced meat, vegetable, deep fried fish meat and etc. No price display, just take whatever you want and choose your soup, either Tom Yam or Plain Soup with either Maggie Mee or Bihun. The highlight is the deep fried fish meat, fresh and crunchy. Chef will cook one by one, so quite a long waiting time during peak hour. I took pork skin, 1 fish ball and a lot deep fried fish meat which come to a price of RM6 only, it was not well presented as they are too busy. 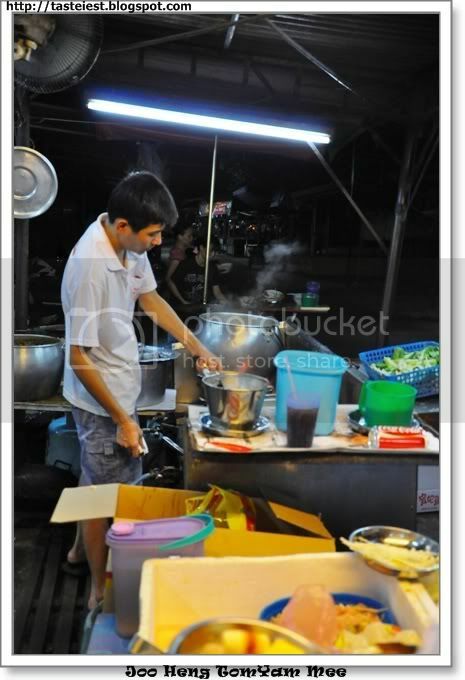 The Tom Yam soup is not really taste like normal Tom Yam soup instead its distinct hot and sour flavors, very appetite. Highlight again on the deep fried fish meat, you get big piece of fish meat instead of flour. Crunchy even dip into Tom Yam soup for sometime. 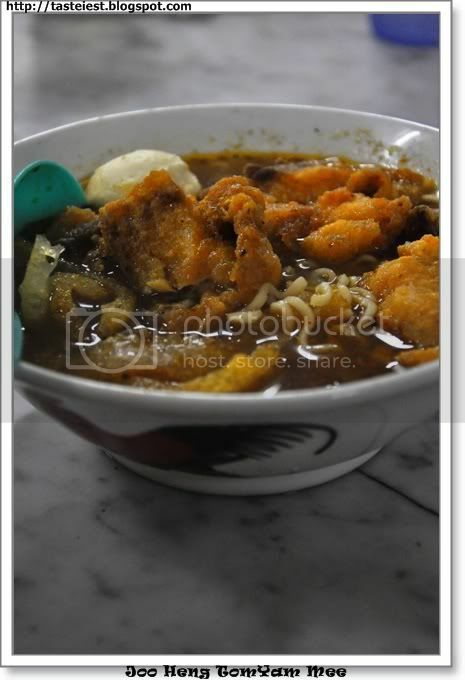 Delicious Tom Yam Soup with Deep Fried Fish Meat with resonable price. Recommended. There is another one more famous in Raja Uda, beside Kwong Hwa. But i never got chance to try cos always too crowded with people. But this is quite good taste. Hi Aline, Thanks for you support and we really appreciate it. Anyone have any idea this kind of buffet tom yam mee exist in Penang island? Hi, you may check out kopitiam near to Paya Terubong Permata Swimming pool. shop lot beside main road, corner shop, GPS N5 23.569 E100 16.590. the tomyam is quite good and you got to choose your own ingredients.